What is a Ticket Type? Ticket types help keep your tickets organized. 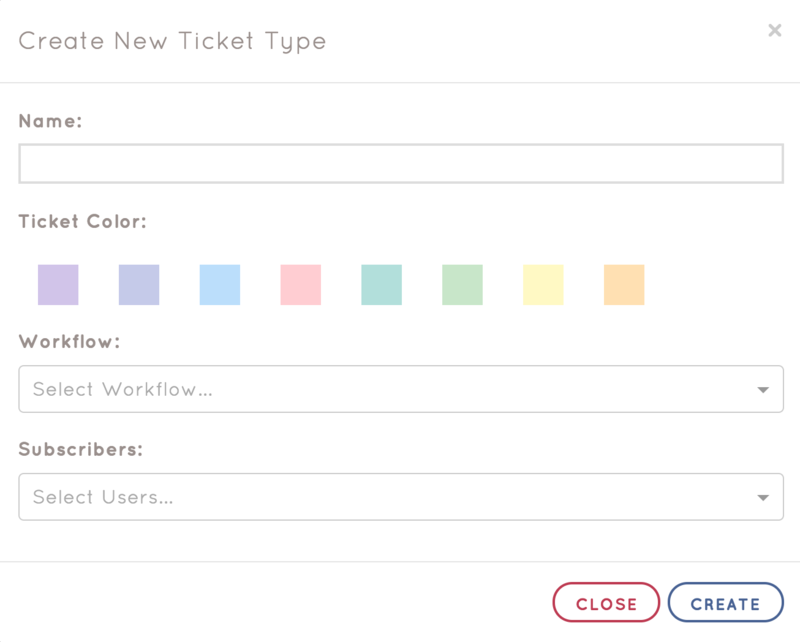 They allow you to categorize your tickets by color, assign certain kinds of tickets to specific workflows and add subscribers. When you create new Tickets, you can assign them to a given type. Subscribers are the users that will get emails when Work Order Tickets of that Ticket Type are created or updated. How do I create a new Ticket Type? From any page, navigate to the Configure page under the Work Orders tab. From there, click the "Create Ticket Type" button at the top left of the page. After you are done configuring your Ticket Type, Click create. You can map a Ticket Type to a Checklist Step. If a Checklist Step with a mapped ticket type is failed, a Work Order Ticket is automatically generated. The system will only create a new Work Order Ticket if there is not an Open ticket that was previously generated from that Check Step. Check out how to create a new Ticket Here!